Opinion: Here's Why U.S. Aid To Palestinians Needs To Continue Former U.S. Ambassador to Israel Daniel B. Shapiro and Washington Institute for Near East Policy senior fellow Dana Stroul warn of the consequences of cutting U.S. assistance. A construction worker saws steel rods at the site of a school that was funded by the United States Agency for International Development in the Palestinian village of al-Jabaa, in the West Bank, on Jan. 22. Next, the Anti-Terrorism Clarification Act, which exposes the Palestinian Authority to legal action in U.S. courts if it accepts any U.S. assistance funds, comes into force on Feb. 1. The ATCA's passage last year prompted Palestinian Authority Prime Minister Rami Hamdallah (who resigned Tuesday) to inform Secretary of State Mike Pompeo in a late-December letter that the Palestinian Authority will no longer accept any U.S. assistance. If carried out, that will end U.S. assistance for the Palestinian Authority Security Forces, the deliberately under-the-radar and largely successful U.S. effort to develop these forces and facilitate effective security coordination with Israel in the West Bank. Thus far, there has been minimal debate in Washington over the implications of these developments on stability in the West Bank and Gaza and the inextricable link to Israel's security. Nor has there been a sober reckoning of the very real implications for U.S. influence. It's easy to be cavalier about these programs, considering the moribund peace process, Palestinian leaders who lack legitimacy with much of the U.S. public, and bouts of violence. But members of Congress, including many of Israel's strongest supporters on both sides of the aisle, have long understood their value. 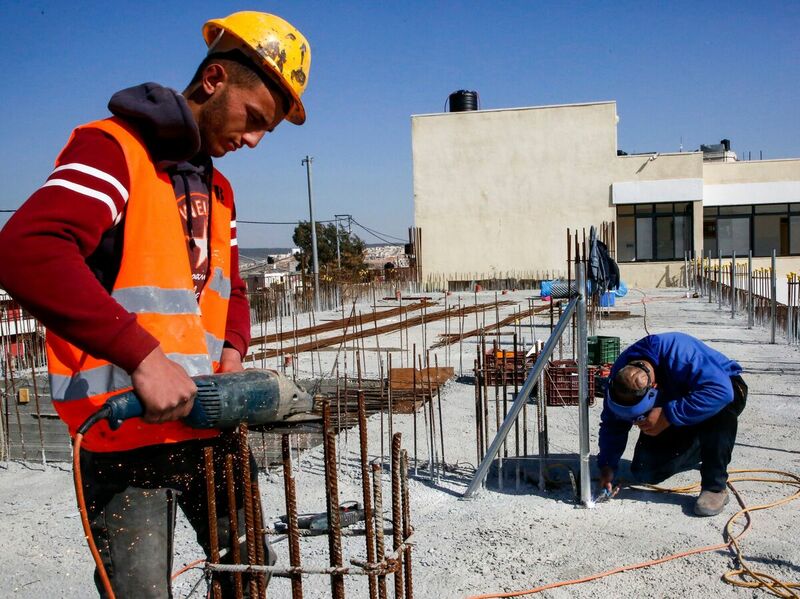 While oversight has been rigorous, funding for Palestinian assistance programs has always flowed with bipartisan support because it was determined to reinforce Israel's security and provide a measure of U.S. leverage and influence. The Israeli government, for its part, was clear in its support for the Taylor Force Act's intent of ending U.S. assistance that could even indirectly subsidize the Palestinian Authority's payments to terrorists' families. But there was never Israeli support for curtailing the accounts Congress protected — programs acknowledged to maintain a modicum of stability in the West Bank and prevent a full-scale humanitarian crisis in either the West Bank or Gaza. In other words, the Taylor Force Act's passage underscored bipartisan Congressional support for continuing U.S. assistance to the Palestinians. Trump officials, who took an axe to the entire program, citing the Taylor Force Act, have misinterpreted the meaning of the law. Members of Congress naturally seek Israel's views on the security and economic consequences of completely shutting down U.S. assistance programs to the Palestinians. But during the Trump administration, the answers have been murky. After Israel's election in April, Congress should urgently seek a clear picture of the new government's views, as members continue to vote on this much-debated set of issues.